Bitcoin is a Digital Currency and a payment system which was created by a programmer name Satoshi Nakamoto. It was introduced in October 2008. Bitcoin is the first decentralize cryptocurrency where no physical paper and bank was required in order to make the transaction. This is what it makes so popular and robust itself which predicts it’s upcoming future. Most of the flaws which we currently have in our monetary system can control under bitcoins. For example like our current biggest problem in the economy is fake currency where we can print paper currency more than it’s actual value and we don’t have any control over it. In Bitcoins, this is not possible because we already know there are 21 billion bitcoins we can ever produce. So we have an open ledger to identify any fake transaction. Since Bit coins numbers are already fixed so generating fake is not at all possible in this system. Now the question arises if numbers are fixed then how can it be possible for the entire world to use this currency. Then the solution is already available it has divided up to eight digits and the lowest digit is called satoshi. This means as soon as the uses increase value of each Satoshi is going to be increased. That’s why we see lots of ups and downs in Bitcoin value on a daily basis. Now the next question is how to buy bitcoins ? There are lots of vendors available who provide wallets. Given link will provide you all details about bitcoin wallets. Every one has its own view but future is not certain for this digital currency. With numerous benefits, it has some serious flaws. Due to decentralization tracking payment and its source of origin could be a difficult task as we completely need a different management for this. Most of the people finding this as a good finance system for illegal activities which is a raising alarm of its controlling and tracking. And due to this some of the countries have banned the bitcoins. But as per the experts, this is the future currency which we are going to use and have unlimited benefits. It works 24*7 with less fee and peers to peer instant transfer as compared to the bank where there is working time slot, transfer takes time and it cost a lot of money as well. The biggest debate over this is how it is going to handle the volume of transaction. like it’s competitor visa handles around two to three thousand transactions per second. And It has potential to handle over 60,000 transactions per second. whereas bit coin supports only seven transactions per second. This means as soon as volume increases payment confirmation duration will also increase. Imagine you went a grocery shop and made the payment via Bitcoin and it taking more than half an hour for payment confirmation. We surely don’t want any such currency at the cost of our time. Before we start considering this as a future currency. We need to understand it should have at-least all the features which we currently have in our monetary system. Now the only solution is that they have to increase the size of the block. But we can’t increase more than 1 mega byte from its current size. So the maximum it is going to handle is 27 transactions per seconds. This is still not enough to meet our market demands. As per the experts, we need to change the bit coin block structure completely before we accept this as a global currency. So it is too early to say that it is going to be our main stream currency. It is the next most challenging and serious issue associated with this currency. A Trojan is able to capture the wallet details stored in hard disk and can get access to your account. There were much news in the past where bit coins were stolen. Some secure hardware wallets are available but those are quite expensive and still out of reach from common people. This is an area where we need improvement on an immediate basis. No one would like to have that currency which has a security issue. We all are the aware thing which is our greatest strength is also responsible for our weakness. And same goes this with Bitcoin. 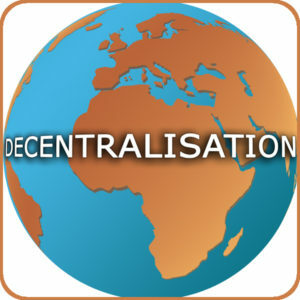 Due to its decentralization smugglers and drug dealers using this currency as a payment method. Here we are not compelled to provide any explanation no need to file any paper against the payment transfer. 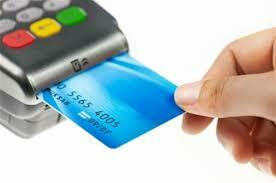 We can simply transfer money to the recipient without any interference. Currently, there is no solution in this area. But we surely need to work on this. Otherwise, the dream of making its main stream currency will never be possible. to be happy. I’ve read this publish and if I could I desire to recommend you few fascinating things or tips. guess used to do leave a couple of things out: i’m employed full-time and devote other time for you to my loved ones and also have resided alone together 10 plus ye#81&a8230;it&#r2s7;s been nice. i re-write my question: a lot of options to obtain available..it’s scarey and i’d like direction… thank you for input. completely different final results never imagined about. . . you w/wife just departing…. it will get better. Is there a decent digital camera for kids under $50 or so?My son is turning 5 and wants a camera but the disney cars and the Diego cameras have horrible reviews. Anyone know of a good one? I&7#128;m not expecting crystal clear photos for this price I just don;t want to buy a total piece of junk.